Reposted from sister site Planetsave, below are 22 of the top bike stories of 2013 so far — the 22 biggest ones I could think of or find. For more bicycling stories, check out our bicycling archives. 1. Bike Commuting Is Skyrocketing, Especially In Bike-Friendly Communities. 2. Off-Road Bike Paths Are Critical To Bike Safety & Adoption. 3. Bike Commuters Are Healthier Than Gym-Goers. Another study has find that people who bike for transportation are quite fit and healthy — even more so than regular gym attendees! 4. 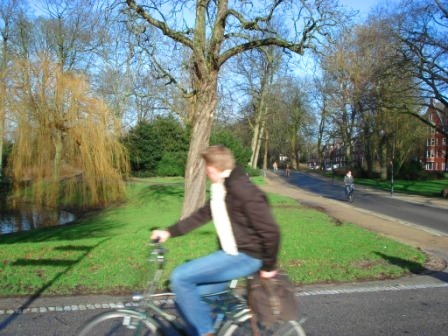 Walk Score Ranks 36 Cities For Bikeability. Walk Score, which uses an in-depth methodology for ranking the walkability of cities, expanded into evaluating bikeability of cities, starting with 36 big ones. 5. Cyclists (& Walkers) Enjoy Their Commutes More. OK, it’s hard to think this wasn’t already obvious to many people — but the important thing is that it isn’t obvious to many more. A new study can be (carefully) used to make more people aware of the fact that bike commuting is f***ing fun! 6. The League Of American Cyclists Held Its Super Awesome National Bike Summit. Yet again, bicycle activists and professionals from around the country swarmed to DC to meet with Congresspeople, their staff, and each other in order to make some big strides forward for bicycling in the US. Muchos details at the link above. 7. BikeSpike Raises Over $150,000 On Kickstarter. First, what is BikeSpike? It’s basically a bike gadget that let’s you track your bike and detects bike theft or crashes. 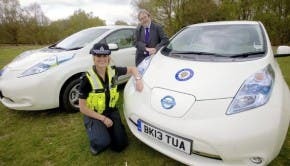 It connects to a smartphone app that alerts the relevant parties in such cases. Pretty awesome. Article linked above, or Kickstarter page here. 8. Ray LaHood Out, Anthony Foxx In. Outgoing US Transportation Secretary Ray LaHood has been an unprecedented leader for advancing bicycling in the US. We’re not yet sure how Anthony Foxx will compare, but there is optimism amongst those at the League of American Bicyclists, Streetsblog, and elsewhere. And there has been some pretty good indication he’ll keep up the bicycling common sense momentum. 9. Obama Is 1st President To Walk Down A Bike Lane On Inauguration Day. Great catch by DC bike advocates. Commentary & video via the link above. 10. Chicago Bike-Sharing Program On Verge Of Debuting. Chicago’s large bike-sharing program, Divvy, is prepped on set to debut next month. 11. 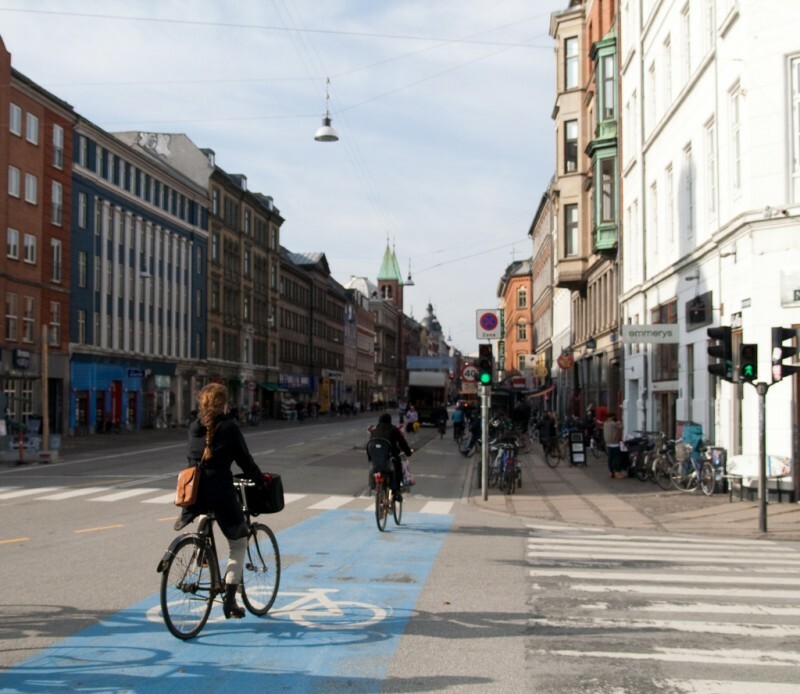 Copenhagen’s “Cycling Without Age” Program Absolutely Rocks. We learned about an awesome program in Copenhagen that you just have to check out. Many more pics and info at the link above. 12. Bike-Sharing Programs Now Exist In Over 500 Cities. Amazing. 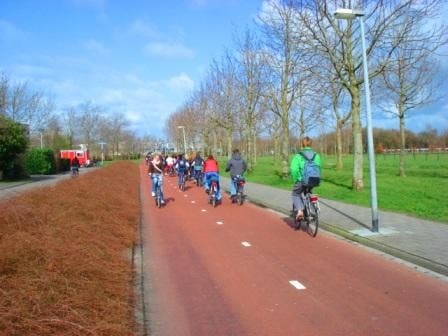 I saw this trend coming fast several years ago when I saw presentations about these programs at a couple of bicycling and transit conferences. But I didn’t know it would happen so fast. Aside from the post above documenting the massive growth, you can also check out this wonderifulous world bike-sharing map. 13. 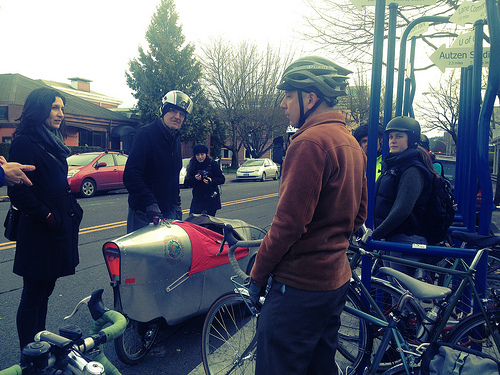 New Bicycle-Friendly Businesses Announced. The League of American Bicyclists announced a handful of new “Bicycle-Friendly Businesses” and upgrades in ranking. The post above gets into a bit more detail. 16. 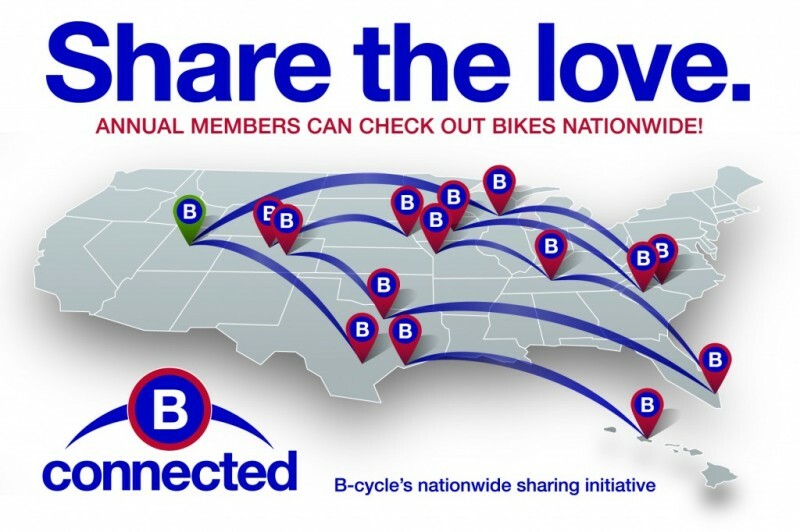 B-cycle Bike-Sharing Program Goes Nationwide. The first nationwide bike-sharing program officially got rolling when B-cycle let its users in various big cities around the country use their membership anywhere. Totally awesome news, imho. 17. H&M Teams Up With Brick Lane Bicycling To Create Menswear Collection. You know bicycling is hitting the mainstream when H&M is creating a menswear line focused on bicycling! 18. Liquid Tries To Make Bicycle Rental Easier For Everyone. This is not new in 2013, but it’s new to us — startup company Liquid is trying to make bicycle rental easier for renters and rental companies. Check out the post for more info. 19. 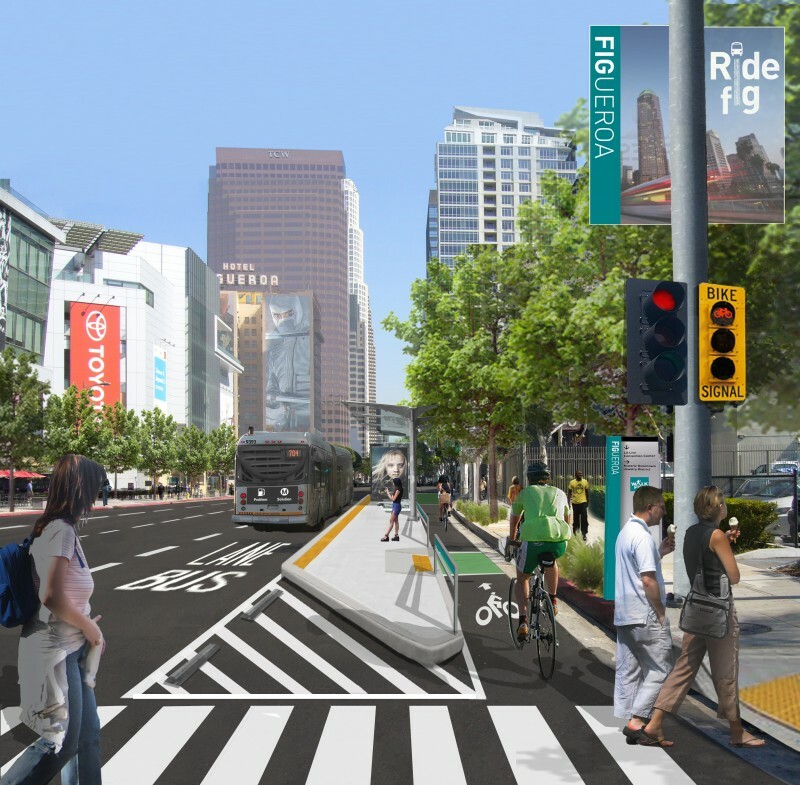 LA Looking To Streetscape More Bicyclists Into Its Mix. The city of LA is known for its cars and car-oriented design, but under the dynamic, awesome leadership of Mayor Villaraigosa and a bunch of bicycle advocates, it has been transforming fast. A new streetscaping project in South LA is aiming to keep the momentum up. 20. MAP-21 Funding Restored Through 2013. 21. Bicycling Is Good For Business! Despite the common myth that bicycle infrastructure and limiting automobile access hurts business, it turns out bicyclists are actually better for business than drivers (and who’s surprised — they see more, it’s much easier to stop and check something out, and they aren’t dumping a huge percentage of their money on the costs of a car — gas, insurance, monthly payments, maintenance, etc). Streetsblog tackles the story in the link above. 22. Copenhagenize Unveils The Copenhagenize Index 2013. 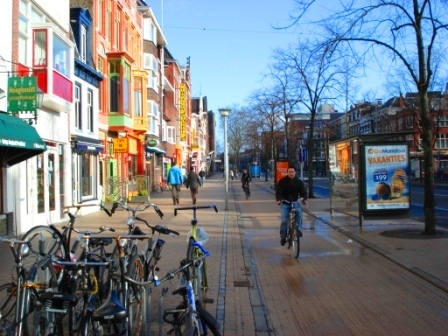 Leading bicycle and urban planning consultancy Copenhagenize unveils its ranking of the top bicycle cities of the world. And don’t forget, we’ve got more bicycling stories, including some really fun and funny videos, in our bicycling archives.